Oregon State sophomore wide receiver Richard Mullaney (8) lies injured on the 50-yard line as the field is swarmed by jubilant Ducks and fans alike. The No. 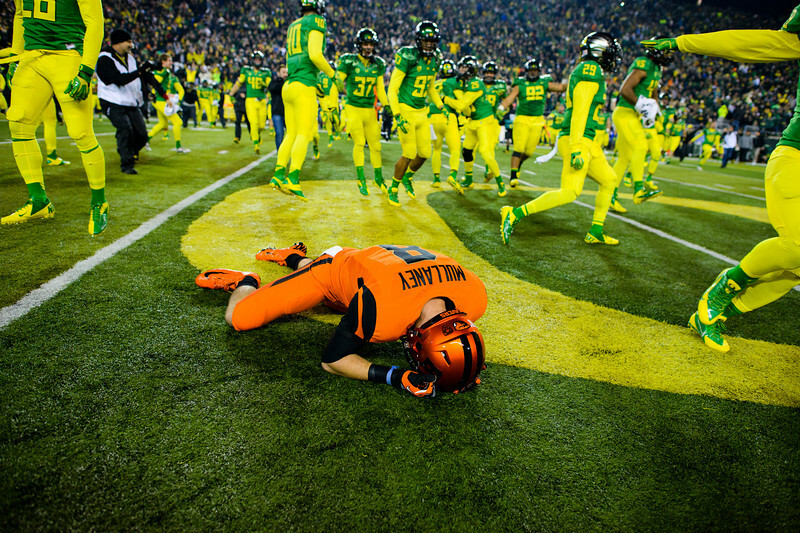 13 Oregon Ducks play the Oregon St. Beavers at Autzen Stadium in Eugene, Ore. on Nov. 29, 2013.